Tell us about Curbell Plastics. What is it that your company does? Curbell Plastics is one of the nation’s top distributors of performance plastics. We supply durable, lightweight, extended-use materials that minimize energy consumption and add value to countless commercial and industrial applications. From spacecraft to safety guards, and prosthetics to prototypes, you’ll find Curbell Plastics nearly everywhere plastics are used. 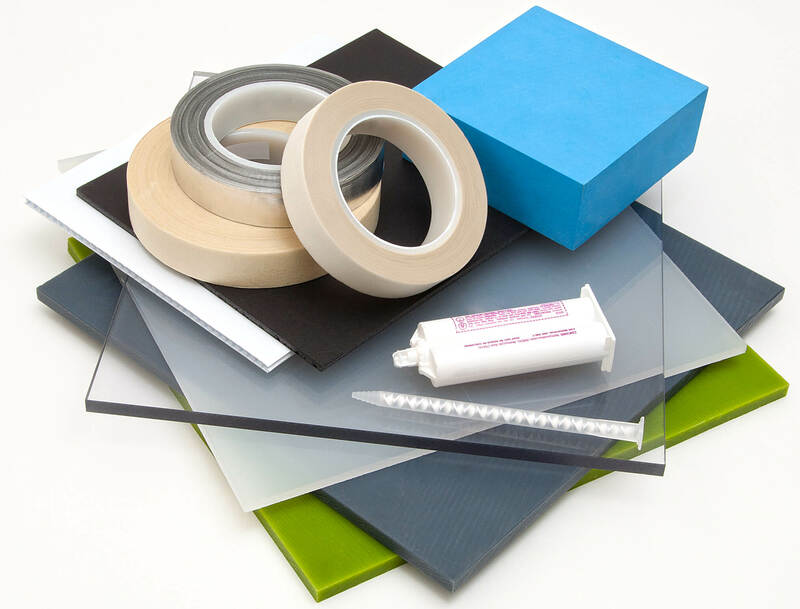 From 18 locations across the United States, we supply plastic sheet, rod, tube, and film materials, along with tapes, adhesives, and fabricated plastic parts, to thousands of businesses as well as entrepreneurs, government agencies, and others. We also offer next-day delivery, innovative services, and a nationwide team of experts to help customers select materials and solve thorny application challenges. How did Curbell Plastics get started? Curbell Plastics began in 1942 as a machine shop in Buffalo, New York, serving local aviation companies involved in the war effort. As the plastics industry blossomed following World War II, Curbell quickly grew to become a premier plastics distributor. We are proud that Curbell Plastics remains owned by the same family, with core values rooted in its small-business origins, while serving customers across the country. Our Texas facility, centrally located in Arlington to serve the Dallas-Fort Worth area and beyond, has 20 employees. This team has a diverse skillset so we can provide a broad range of services to our customers in Texas. We have a strong warehouse operations staff to handle a high volume of material, complemented by a fabrication team that brings together fabricators, machine operators, and a Compliance and Calibration Inspector to make custom parts for customers. Our sales team has expertise in high-performance plastic applications for a number of industries, including oil and gas, aerospace and defense, machine builders and machine shops, transportation, semiconductors and electronics, and much more. Nationwide, Curbell Plastics has 18 locations and more than 150 employees. What is the culture of Curbell Plastics like? Our culture supports innovation, an entrepreneurial spirit, and rewarding career opportunities. Everything we do is driven by our core values of respect, integrity, and learning, and everyone is accountable for living and working by those values. We constantly invest in our culture and our people through innovative benefits programs, extensive training and career development resources, environmental sustainability initiatives, and community support. What makes Curbell Plastics unique, especially for your area? Our technical expertise and breadth of specialty services really set us apart. We have a team dedicated to assisting customers with material selection and advising on complex applications and material performance in challenging environments. We maintain a robust research section on our website, and anyone can submit questions about materials through its Ask a Plastics Expert feature, where visitors can even upload drawings or project specs. We also offer a number of services designed to help our customers save time and meet their requirements, like cut-to-size, fabrication, inventory programs, certifications, and more. What is the long-term goal for Curbell Plastics? Because Curbell Plastics is privately owned, we’re focused on long-term growth — not simply meeting the numbers for next quarter. That means always providing the greatest value for customers, even if it sometimes doesn’t result in a sale. Establishing trust with our customers in ways like that is essential for building long-term relationships. How did you get started at Curbell Plastics? I’ve been in the plastics industry for just over 15 years. I was the Manager of Value Added Products for American Plastics in December of 2012, when it was acquired by Curbell Plastics. How did you hear about Dispatch? I was contacted by Mickey Joy. Although we receive a great deal of calls for logistics providers, there were some unique aspects of Dispatch that caught my attention — especially the transparency that comes with the real-time visual tracking of Dispatch’s delivery vehicles. What was your process for sending and receiving inventory prior to Dispatch? Prior to using Dispatch, all local deliveries were called in over the phone. Any special instance where Dispatch came through in a pinch or went above and beyond what you expected? There have been many times over the last several months that Dispatch really came through for us. We’ve been relying on Dispatch on a near-daily basis because of their ability to handle quick deliveries on very short notice. Performance plastics is a fast-moving business, and utilizing Dispatch has enhanced our ability to give customers the superior level of service they’re used to receiving from Curbell Plastics.